Contact Us For All Of Your Windows and Doors Needs! We Make Custom Windows To Your Order! We have a remarkable selection of new and replacement vinyl windows for you! Our highest-quality products come in various hues like white, copper, brown, black and so on to perfectly match your place. Any style, size or finish you desire, we will make it possible. We have a beautiful selection of new doors to fit your style and requirements. 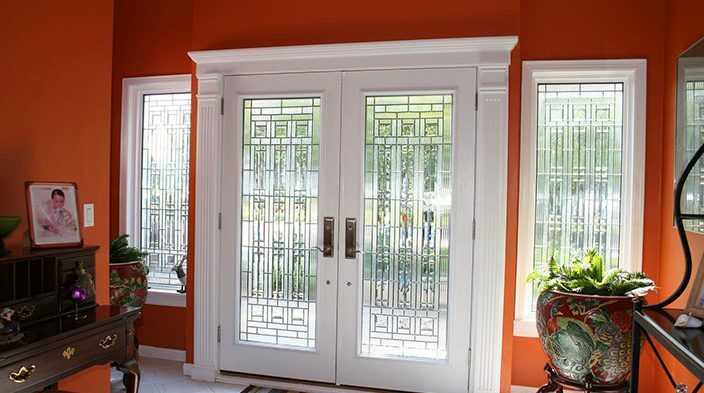 Besides our exclusive line of Portone doors, we also have fiberglass and steel-insulated doors. All our products are durable, energy efficient, and make you feel secure at home. 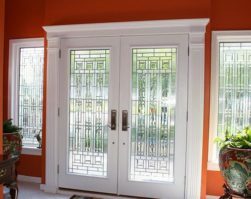 Design with us your new custom door now! With 30 years of experience in the field and Energy Star approved products, we offer exceptional residential and commercial services to our clients up to 8 stories high and strive to exceed their expectations. No matter what your requirements are, we will adhere to them and provide accurate solutions. Or fill out our contact form and we will call you! We had replaced 21 windows in our house as well as the patio door. Arnold was very professional, recommending the right type of windows for our needs, not pushing for more expensive, but unnecessary ones. He made himself available every time to answer our questions and concerns. We also liked that he manufactures his windows and doors himself, not reselling others. He was very accommodating with the time-frame we needed our windows to be installed. The windows were ready on time, the installation team did their job in a very professional manner, leaving no mess behind. We would definitely recommend Prestige Windows and Doors and use them in the future again. I just had two windows in my basement replaced by new ones from Prestige Windows. Arnold the owner of Prestige Windows kept in touch with me on a regular basis from the order was placed to the time windows were installed. He saw to it that the job was done on a timely and professional basis. So far I am pleased with my new Windows from Prestige. We called Prestige Windows after they were recommended by friend. 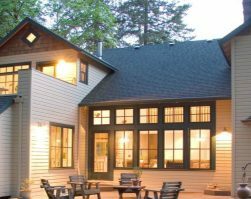 Arnold gave a competitive and reasonable quote, after a long discussion about the different types of windows out there in the market and we loved that they manufacture their own windows, instead of reselling others. Job was completed very quickly and they left our home clean as before they started. We just replaced our patio door and window. Everything was done by Prestige Windows and Doors Company fast, accurate with very good quality of material. We would recommend this company all my friends. Thanks so much! I have been a contractor going over twenty years. The quality of the windows I ordered were top notch. The install crew went above and beyond my expectations. I would happily deal with prestige windows again. I highly recommend them. Did you know that you could save quite an amount of your hard earned money by just being a little wise and choosing the right contractor for your home’s window and doors? Yes! It is what we, at Prestige Custom Windows and Doors in Toronto, are here to help you accomplish. With 30 years of experience in the field, we are aware of all the ins and outs. We control all the aspects of manufacturing our products, right from the beginning to the end. Our ability to take up every new project with the same sincerity and honesty as that of the first one makes us a favorite amongst our customers. We take pride in the work that we do and aspire to exceed the expectations of our customers. By understanding your requirements precisely, our experienced and knowledgeable staff will make the entire window and door installation process hassle-free and seamless even without your involvement at every stage, be it a custom window or door fitting for your new place, or replacement ones. As the experts, we will provide only the supreme quality products that are Energy Star approved, 100% waterproof plus air sealed, designed accurately to fit your place and backed by a lifetime warranty. Contact us today for new or replacement, residential and commercial windows and doors, any custom work, or repairs job. We look forward to working with you! How to Choose a Custom Door for Your Home’s Patio? While planning your home’s renovation or when constructing a new house, selecting exterior doors is an important aspect to be considered. They not only provide protection from various elements outside but also enhance the style and outlook of your home.